The Kent County Agricultural Society reported record financial support at the Annual General Meeting on 6th February 2015. The Society made £100,000 worth of charitable grants and subsidies for the farming and rural sector in 2014. The Society’s Farming and Education Committee are responsible for ensuring that the aims and objectives of the Society are met and each year make substantial contributions to a large number of organisations in the county. Stuart Gibbons, Chairman of the Committee explained ‘The Kent County Show in July is the main objective of the Agricultural Society, however it is vital that as a well-recognised Charity we are able to fund a variety of worthy organisations and individuals. We are delighted to be able to ensure that as many good causes will receive grants from us this year. We hope it will total in excess of £100,000 this year”. The object of the Society when it formed in 1923 was for the encouragement of agriculture generally, improvement in breeding and rearing of livestock and to encourage the invention and improvement of agricultural implements and machinery. The core aim of the Society has remained over the years; with only small alterations to reflect the changing farming landscape and public understanding of the industry.  The Kent County Agricultural Society now exists for; the improvement of agriculture, forestry, horticulture, allied industries, rural crafts and the breeding of livestock. The demonstration of improved methods connected with the above. The holding of an Annual Show in Kent. The encouragement of agricultural and horticultural education, research and experimental work. This is achieved in a variety of ways and administered by staff, officers and committee members. Each year the Kent County Show, subsides or fully supports a number of businesses and organisations including a 50% discount for all Agricultural Stands attending, support for Kent Guides and Scouts, Produced in Kent, Kent Wildlife Trust and many other small charities that receive subsidised or free space at the three day Show. In addition eleven other organisations received specific support in 2014 totalling £34,550*. The Farming and Education Committee organise the annual Living Land event during May. The one day education event is offered to Kent School children in years 3 and 4 and provides an opportunity to see and touch farm animals, taste local produce, understand seasonality, watch demonstrations and be part of Kent’s largest outdoor classroom. Kevin Attwood, Kent County Agricultural society Chairman said, “Being able to put on an event specifically aimed at educating children about food, farming and the environment fills a vital gap in the curriculum. Taking primary age children out of the classroom has become increasingly difficult and costly for schools. We offer this event free of charge which makes it affordable for both schools and parents”. The Living Land has been running since 2003 and is financed fully by the Society with the generosity of volunteers who give their time for the benefit of those attending. The Farming and Education Committee make a number of monetary awards each year, the largest being to Kent Young Farmers. During the previous five years, the Society has provided in excess of £50,000 to clubs in Kent. Historically funding had been limited to farm based clubs for capital only items. In 2014, the Committee took the decision to change the way funding was allocated to enable all clubs to apply for a grant. The Society are delighted to announce that £10,000 has so far been awarded for 2015 projects which include, trailers, flocks of lambs, sheep equipment, animal housing and fencing. The Hooson Award is granted to a young person under 21, hoping to develop a career in the rural sector. The 2014 award was divided between two worthy applicants, Grace Twyman from the North School YFC in Ashford and Katie Manvell from New Line Learning YFC. Both are studying Agricultural Courses at Hadlow College. The Lady Astor Award is given for the ‘Best Kent Young Farmer of the Year’, in 2014, Daisy Fermor from Homewood School Farm won the title due to her enthusiasm and motivation in keeping the club running, despite an uncertain future at the time. The Farming and Education Committee sponsor the Kent Ploughing Championship, provide financial assistance to the Kent Branch of the Women’s Food and Farming Union to make school visits and provide bursaries for FE or HE students to pursue a career in food, farming or the rural sector. The latter funds up to three students with a £1,000 per year grant for a maximum of three years. It is also within the remit of the Farming and Education Committee to award a number trophy and prizes throughout the year. The Long Service Award, Presidents Bowl, The Vice-Presidents Award, The CLA Trophy, The Edward Hardy Trophy and the Town & Country Award. Stuart Gibbons, Committee Chairman said, “Many people are unaware the Kent County Agricultural Society is a Charity which works extremely hard to give back to the rural community. Every ticket that is sold for the Kent County Show helps fund our expanding education and awards programme. We are very thankful that we have so many visitors to the July County Show which, in turn enables us to help more rural organisations”. *Kent Beekeeper Association £1,350, Kent Goat Club £3,000, Kent Federation of Horticultural Societies £3,200, Kent Guild of Spinners, Dyers & Weavers £500, Kent Poultry Club £1,500, Sheep Shearing £1,600, Sheep Show £4,200, Friends of Kent Life £500, Why Farming Matters in Kent £5,300, Wool Tent £800, Kent Young Farmers Clubs £12,600.